Victorian Literature; Contemporary American Fiction; Modern and Contemporary British Fiction (especially Scottish); Feminism and Women's Studies. Anne Longmuir specializes in Victorian Literature and Contemporary American Fiction. She has published articles and book chapters on Charlotte Bronte, Elizabeth Gaskell, Wilkie Collins, Don DeLillo and J. M. Coetzee. 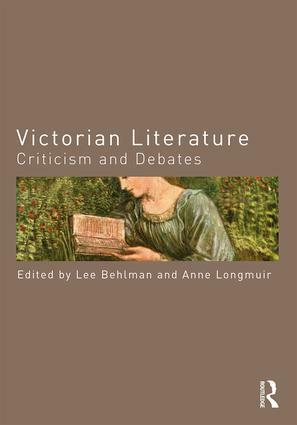 She co-edited Victorian Literature: Criticism and Debates (Routledge 2015) with Lee Behlman (Montclair State University). Anne is currently working on a book on the gender politics of John Ruskin's economic theory.